Laser navigation and virtual boundaries make this more than a basic robot vac. 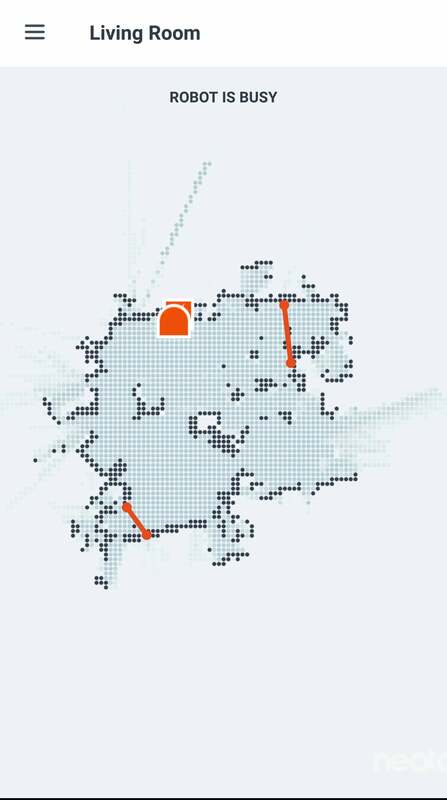 Typically, you have to open your wallet wide to get a robot vacuum with mapping and other advanced capabilities. 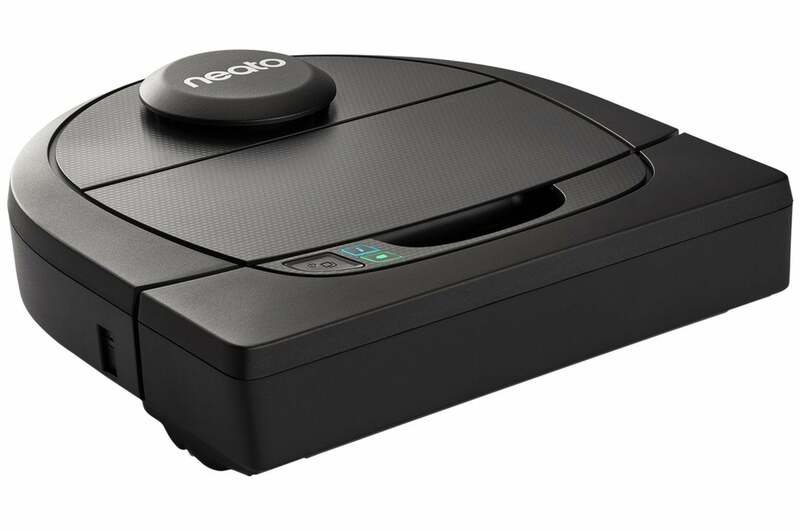 But Neato’s Botvac D4 Connected, currently $400, brings the favorite features of its advanced vacuums—laser navigation, virtual boundaries—well within the reach of those with more modest budgets. The D4 Connected boasts Neato’s signature D-shaped design, which allows it to better get into corners and move along wall edges where dust and pet hair likes to collect. It’s just over 13 inches wide and a slightly taller-than-average 3.9 inches high due to the laser turret that sits on top and enables mapping. A 0.7-liter top-loading dustbin is set in the center of the vacuum, and just below it are a power button and indicator lights for Wi-Fi connectivity and battery life. On the D4’s underside, an 11-inch combo brush does all the dirty work, while a pair of treads and swivel wheels allow it to maneuver your home’s various terrain. No-go boundaries tell the D4 what areas to stay away from. The D4 comes with Neato’s unique vertical charging doc—Botvac’s charging contacts are on the back rather than underneath like most robot vacuums’—plus a replacement high-performance filter and and spare combo brush. The D4 comes partially charged, but it’s a good idea to charge it fully before you turn it loose. That takes up to 100 minutes, so while it’s charging you can download the Neato app and register an account. Then add the device and the app will walk you through a fuss-free setup to pair the D4 with your phone and connect your Wi-Fi. To create a floor map, the D4 has to first survey the layout of the room. During this reconnaissance run it explores using its various sensors and bumpers to determine when it has encountered a wall, chair, or other obstacle and should change direction. (The app recommends you shut all doors to the room and pick up any clutter before starting this step.) As expected, this process was long and the D4’s navigation erratic, but it produced an accurate map of my home’s downstairs floor plan. The Neato app makes everything you need to control and manage the D4 easily accessible. Once you have a floor map, you can create no-go boundaries around areas you want the D4 to avoid by drawing red lines on it. You’ll also see the docked vacuum on the map as a red dot. With a floor plan of my downstairs saved, I sent the D4 out on its first cleaning job. 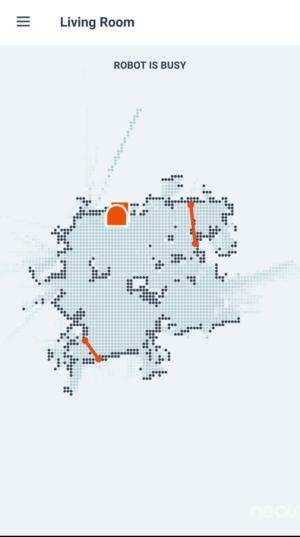 Unlike during its mapping run, it moved methodically back and forth across each area it cleaned. I’d cordoned off with no-go lines spaces that housed our cat’s litter boxes and an exposed power strip with its tangle of device-charging cables, and the D4 steered clear of these. On the rare occasions it bumped into a wall or some furniture, it was merely a gentle tap. However, if you have an particularly delicate items in the D4’s path, you might want to enable the Extra Care Navigation feature in the app. I knew from my experience with past robot vacuums that the D4’s turret would prevent it from getting under my couch. But it navigated around furniture with ease and had no problem transitioning from carpet to hardwood to linoleum, even when it meant getting over a raised edge. When it was finished, it made a beeline back to its dock and shimmied its way up to the charging pins. Like all Neato Botvacs, the D4 has two suction options: Eco, which cleans more quietly but takes longer, and Turbo, which amps up the speed and the suction. The former did an admirable enough job getting all the pet hair and food crumbs off my floors that I used it most of the time. 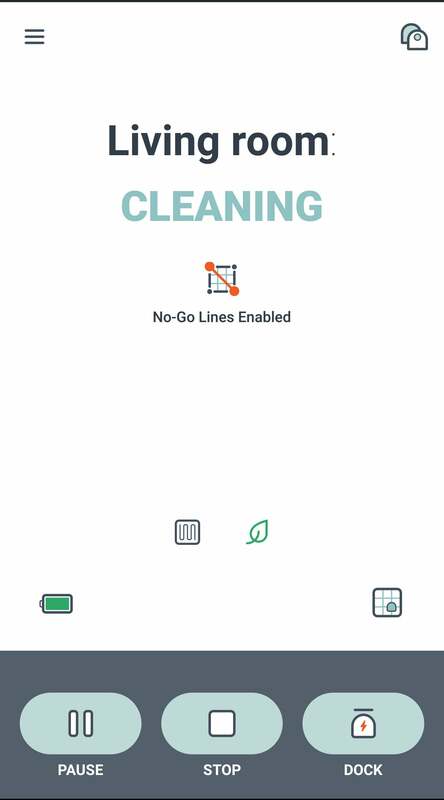 There’s also a Spot option for cleaning areas of concentrated dirt. The D4 will clean for up to 75 minutes on a full charge, which should be plenty to cover smaller floor plans. For larger spaces, the D6 is equipped with Neato’s Quick Boost feature, which calculates how much power the D4 needs to complete a cleaning job and sends the vacuum back to its charging base to top off the battery enough to finish the task. The D4 makes a floor map of the room that you can save and edit. After each cleaning, you can view a job summary that includes the time of cleaning, the duration, and square footage of the area cleaned. We’ve praised the elegance of the Neato app in our other Botvac reviews, and the experience is just as great with the D4. Vacuum controls, cleaning options, floor maps, summaries, and scheduling are all easily accessible from the main screen, and the app provides you with continuous status updates during cleaning jobs. It will also push alerts when the dustbin is full and when the air filter and brush need to be replaced. In addition to the iOS and Android smartphone app, Neato offers an app for the Apple Watch, though we did not test it. Though only the Neato app gives you full control and management of the D4, you can issue rudimentary commands like start/stop cleaning and return to the dock using Google Home and Amazon Alexa voice assistants. There are also a handful of IFTTT applets that will do clever things like pause a cleaning when you answer your phone or start a cleaning when you leave an area. 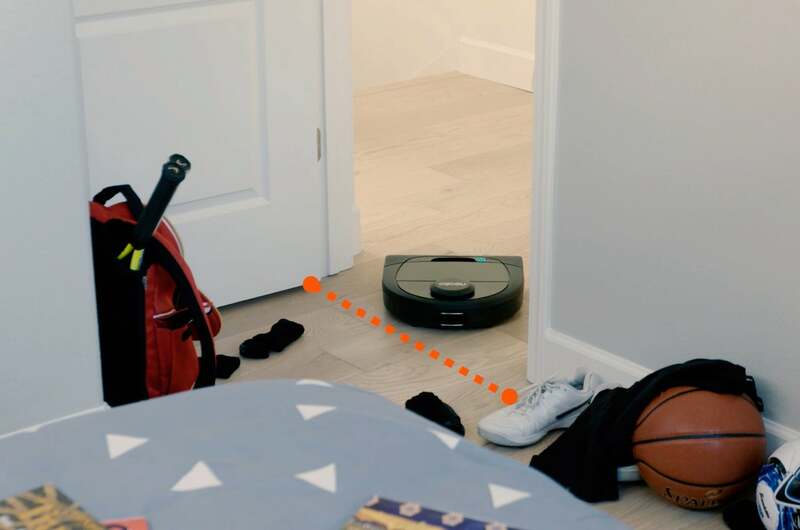 You certainly don’t a need a robot vacuum with floor mapping, virtual boundaries , and smart home integration to perform decent maintenance cleanings. Budget models like the Ecovacs Deebot N79S and Eufy RoboVac 11s will ably supplement weekly cleanings with your conventional vacuum for under $250. But those advanced features add a measure of convenience that’s tough to deny, and the D4 finally makes them available at a price that won’t scare the socks off most of us. If you’ve ever wanted to know what it’s like to have a “luxury” robot vacuum, this is your chance. This story, "Neato Botvac D4 Connected review: Top-end features at a mid-range price" was originally published by TechHive. The Botvac D4 Connected makes top-end robot vacuum features available to the many.